John Fleming offers his opinion on the Malcolm Hardee Awards. I felt proper sorry for my own sweat-shopped Malcolm Hardee Award judges. They toil in the vineyard of comedy talent, searching for strange and wonderful new saplings (sometimes freakishly deformed ones) and they get nothing, nowt, zilch – not even a name-check unless you look carefully on some obscure page of the Malcolm Hardee website. I think there is a danger – much as with charities – of getting too much sponsorship. There is a danger of the mechanics of the search for talent becoming as important as the search. I would be a little uncomfortable with sponsorship money to run the Malcolm Hardee Awards; it would feel like it was somehow against the spirit of the Edinburgh Fringe. The whole spirit of the Fringe is to come up to Edinburgh every August and tear up your own hard-earned £50 notes while standing in the pouring rain. And getting sponsored by some large conglomerate would not seem to be keeping alive the spirit of Malcolm – ironically. Because, if BP, Rupert Murdoch or Microsoft had thrown money at him when he was alive, he would have taken it and screwed them for everything he could. I joke that, when organising anything in Malcolm’s memory (he drowned in 2005), I am in a win-win situation. If everything goes smoothly, it will reflect well on me as a slick and efficient professional. If it all falls apart into a desperate, shambolic mess, it will seem I have upheld the true Heath Robinson spirit of Malcolm’s shows – and it will reflect equally well on me as a master of mayhem. I think, of the two options, I prefer the second. I organised full-blown variety shows in Malcolm’s memory at the Hackney Empire, London, in 2006 (five hours), 2007 (five hours), at the Gilded Balloon, Edinburgh in 2009 (90 minutes) and now, this Friday, in the ballroom of the Counting House in Edinburgh (2 hours)… to be preceded by Malcolm Hardee Comedy Punch-Up Debates on Monday/Tuesday and spaghetti-juggling on Wednesday/Thursday. 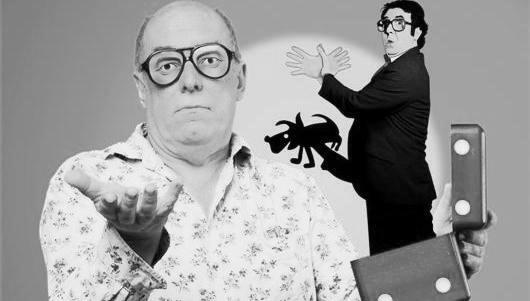 It is the first ever Malcolm Hardee Week and is part of the Free Festival – all the shows are free. I hope Malcolm would have approved. All the acts will perform without any payment; they do it purely to honour Malcolm’s memory; and I take no fee of any kind; I do not cover any of my costs. That is not really pure altruism. I feel I could not ask top acts to perform for free if there were any suspicion that I was dodgily making any money in any way from the stuff… as Malcolm might have done! Originally, in 2007, I was going to buy the other Malcolm Hardee judges a good slap-up meal to thank them for their work. The practicalities of getting them all together at any given time was too much to cope with, so I just gave up. Now, if they are lucky, they might get a cheap drink each during the Fringe. It is not a well-honed, efficient machine which sees every show and sifts everything scientifically. I specifically chose as judges critics whose normal jobs at the Fringe involves seeing lots of shows anyway. And I chose a quality spread – The Scotsman, The Times, The Independent, The List, Time Out. This year, the judges are me, Kate Copstick of The Scotsman and ITV1′s Show Me The Funny; Dominic Maxwell of The Times and freelance Jay Richardson of The Scotsman, The List, Chortle etc. Next year, another quality paper’s comedy critic will be joining this merry throng to choose the Malcolm Hardee Awards. It’s a ramshackle old way to choose awards, but it seems to have worked so far. We aim to spot and encourage new talent, outrageous publicity stunts and generally make the Fringe a less sombre, corporate entity. More anarchic. ** OK, I was joking about not caring about children in Africa. In fact, 100% of any money given at the Malcolm Hardee Week shows goes to Kate Copstick’s Mama Biashara charity. I apologise for this outbreak of morality. I will try to curb it in future. John Fleming also has a blog. You can read it here.